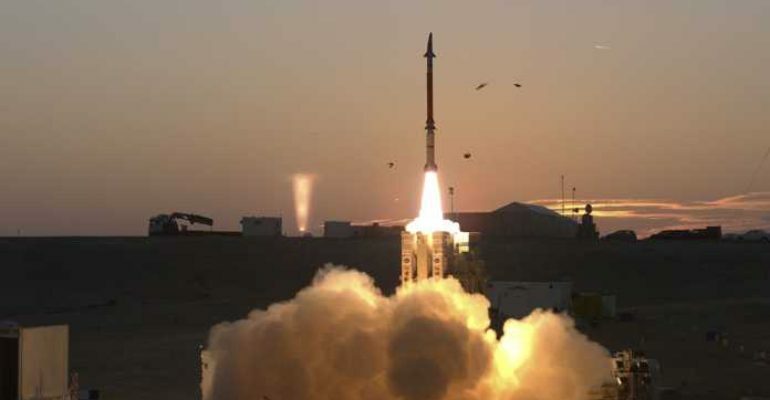 David’s Sling significantly bolsters Israel’s key defensive capabilities, integrating mid-range regional defense into their multi-tiered missile defense framework, defending against the hundreds of thousands of missiles and rockets employed by Iran, Syria, Hamas and Hezbollah. DSWS can defeat the Iranian Fajr-5, BM-25 and Fateh-110, the Syrian M-600 and Khaibar-1, and Scud missiles. [vii]This provides significantly improved regional defense capabilities for the IDF as they defend the Israeli homeland against barrages of enemy missiles and rockets. May 2014: U.S. vetoes sale of DSWS to Poland, in favor of the German, Italian, and U.S. designed MEADS. 2006: DSWS development begins after contract given to Rafael and Raytheon.